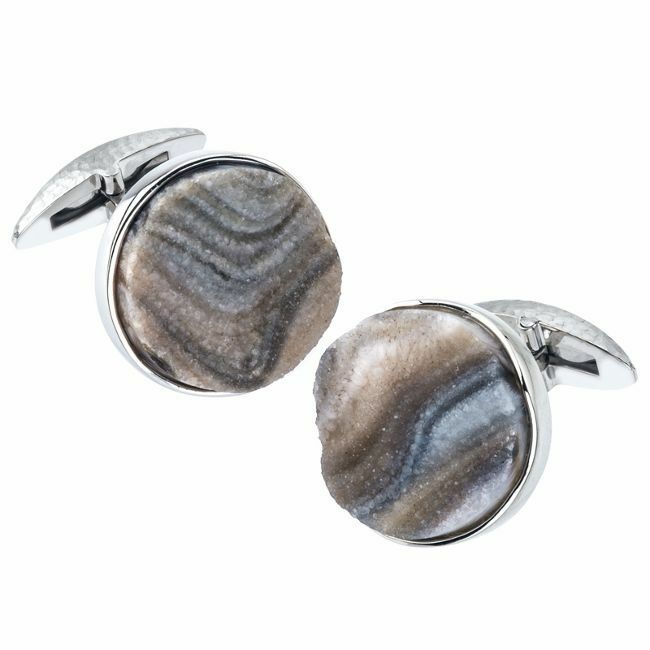 18kt white gold cuff links featuring Desert Druzy with a total weight of 20.21ct. The stones are bezel set in a frame of high polished white gold. The cuff links have swivel backs that feature a hammered finish. This is a Jorge Adeler custom design.